PATRICK WILLIAMS is a young 14 yr. old boy who has nothing but the clothes on his back. This is Christmas but for him, he only hopes he will have something to eat. He has been living in a deplorable situation, on the Krisan Sanzule Refugee Camp in Ghana! Here, a kind old widow woman was taking care of him. This place is a living hell! Patrick”s home looks like a chicken coop! Many times he goes to bed hungry. They have no mattresses, and no blankets. They only hope they will not die with the next malaria or typhoid fever. Patrick’s story is one of thousands in West Africa. In 1996 when war broke out in Liberia everyone including Patrick’s mother, Phebe, ran for their lives! In Phebe’s frantic escape she was caught by the rebels. Both her and her mother were beaten and raped. The rebels killed her father and oldest brother. They took Phebe to the bush where they tied her up, saying “we will come back to kill you!” Thank God she was able to untie herself and escape. Soon after travelling by foot to Ivory Coast, she knew she was pregnant. In January 1997 she gave birth to Patrick. In Ivory Coast Phebe would go to the market and carry luggage for people, for small tips, to get food for the day. There was a very kind old widow there who saw Phebe’s hardship and came to her rescue. This widow lost her husband and children in the war, and took Phebe like her own. Unfortunately Ivory Coast broke into war in 2002. This is when the old widow, said, “Give me Patrick, and I will take him with me to Ghana where we will be safe from war” This kind widow woman has taken care of Patrick until now. Phebe travelled home to Liberia recently in search of her sister Bernice. Someone there told her that her sister lived at the Buduburam Refugee Camp and that is how Phebe located Bernice, telling her that her son was in the Krisan Sanzule Camp, and would she please go to find him. “The old ma says she is now too old to take care of Patrick and she cannot help him any longer” It was then that Provision of Hope instructed Bernice Williams, the aunt of Patrick, to bring him home with her to the Buduburam Refugee Camp. “But mom, how will I take care of him, I have little myself?” I said, “Bernice, just bring him home, GOD WILL MAKE A WAY!” Today Patrick is with Bernice Williams on the Buduburam Refugee Camp. Bernice is one of our leaders for the SINGLE MOTHERS EMPOWERMENT PROGRAM on the camp. Phebe, Patrick’s mother, lives in slum- like conditions at West Point in Liberia. I hope to send our Director of Mercy, Aaron Paul, in search of this single mother and the 4 children she is trying to feed. Her oldest is Hannah, who lost her father and mother in the war. This is the child of Phebe’s oldest brother. The father of her bio children, was carried off in the war in Ivory Coast and she has not seen him since. For some, Christmas is not like you and I know Christmas. It is very sad for some. Many times I am reminded of the star-fish story, and it inspires me to keep rescuing the Patricks. We will make a difference to this one! That is, if you can help. 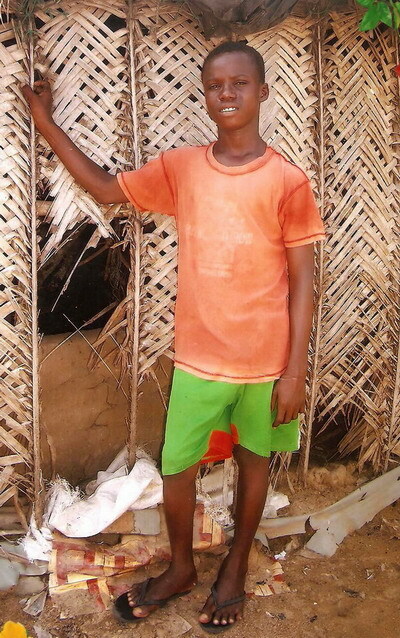 We would like to put Patrick to school, buy new clothes for him, and give him a HOPE and a FUTURE. We would also like to buy a mattress and some blankets for the widow woman, who was so kind to Patrick.